Description: Many of us have a sense of unease about current trends in global capitalism and global society. Inequalities and conflict seem endemic; much vaunted technological innovations seem unable to deliver structural change and development in many parts of the world; and ideological conflicts may be more intense than during the cold war. 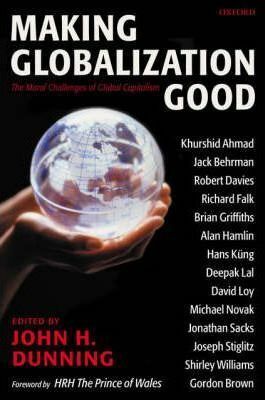 Shirley Williams, and a dozen other leading thinkers in The central point of debate in this book is identify and evaluate the moral challenges of what contributors refer to as 'responsible global capitalism'. How can we develop a global economic architecture which is economically efficient, morally acceptable geographically inclusive and sustainable over time? moral issues which global capitalism must answer. If global capitalism - arguably the most efficient wealth creation system currently known to man - is to be both economically viable and socially acceptable, each of its four constituent institutions (markets, governments, supranational agencies, and civil society) must not only be technically and administratively competent, but also be buttressed and challenged by a strong ethical ethos.